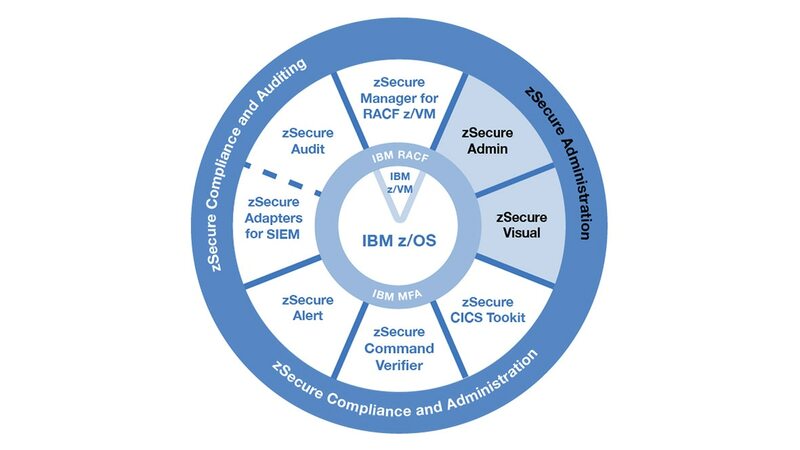 IBM® Security zSecure™ Administration provides you with tools designed to efficiently administer mainframe security using fewer resources. By automating many recurring system administration tasks, zSecure Administration helps reduce costs, maximize IT resources, reduce errors, improve quality of services and deter privileged user abuse. With a graphical Microsoft Windows interface that enriches functionality, this leading security solution identifies potential problems quickly to minimize the risks of security breaches, strengthening the health of your IT system. Offline testing and simulation improves quality, reduces mistakes that cause you security issues and reduces your labor costs with automated profile cleanups. Automation of time-consuming, recurring IBM Resource Access Control (RACF®) tasks reduces your administrative workload. Visibility across entire RACF infrastructure enables you to administer and report from one user interface and manage profiles from a graphical Windows interface. Consolidate and delegate your simple RACF administration tasks to less skilled resources or decentralize your RACF administration and separation of duties.